Carrie Dennett is a Seattle-based registered dietitian nutritionist and journalist. She has been a health, wellness and nutrition writer since 2004, and currently writes a nutrition column for "The Seattle Times." She holds a Master of Public Health in nutritional sciences from the University of Washington. Most people who follow a diet that bans gluten -- a type of protein found in wheat, rye and barley -- don’t have medical reasons for doing so. 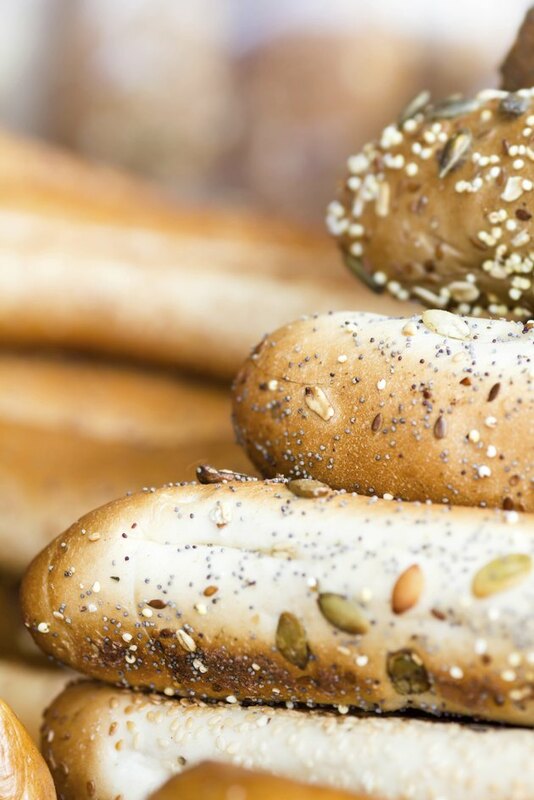 If you have a wheat allergy, celiac disease or nonceliac gluten sensitivity, however, eating gluten-containing foods can adversely affect your body and your health. If you have a wheat allergy, your body reacts badly to one or more of the many proteins found in wheat, which might include gluten. Symptoms can be mild or severe and include skin rashes, hives, stomach discomfort, intestinal distress, runny nose, sneezing, asthma and anaphylaxis. It’s unclear how common wheat allergy is, but best estimates are that fewer than 1 in 200 people suffers from this type of food allergy, according to the American College of Allergy, Asthma & Immunology. Most children with wheat allergy outgrow it before adolescence. Celiac disease is an autoimmune disorder in which eating gluten prompts your immune system to attack the lining of your small intestine. The resulting damage makes it harder to absorb certain nutrients, including iron, calcium, vitamin D and folate. In the long term, this can lead to health problems like anemia, osteoporosis and infertility. Symptoms can include stomach pain, diarrhea, weight loss, chronic fatigue and neurological problems. The only known treatment for celiac disease is total, lifelong avoidance of gluten because even tiny amounts can cause intestinal damage. Gluten sensitivity and celiac disease share many of the same symptoms, but if you have gluten sensitivity, you are more likely to experience obvious symptoms like gas, bloating, cramps and diarrhea or constipation soon after eating gluten. You may also experience symptoms elsewhere in your body, such as headaches, “brain fog,” joint pain or numbness and tingling in your legs, arms and hands. Gluten sensitivity does not damage your intestines, so you may not have to be as vigilant about avoiding gluten. Fortunately, each of these gluten-related health conditions is relatively rare. About 1 in 133 Americans has celiac disease and 6 to 7 percent of Americans have nonceliac gluten sensitivity, according to the National Foundation for Celiac Awareness. If you don’t fall into one of these groups and don’t have a wheat allergy, there’s no evidence that you should avoid gluten. Packaged gluten-free foods can be highly processed and calorie-dense due to added sugar and fat, which can contribute to weight gain. Most are not enriched with vitamins and minerals typically added to foods made with gluten-containing grains. Celiac Central: What Is Non-Celiac Gluten Sensitivity?